Welcome to the homepage of the Belgium Backgammon Federation. The federation’s aim is to unite backgammon players and clubs in the country. We play backgammon according to the international (Western) backgammon rules. Most often, we engage in match play. We use the doubling cube, including the Crawford rule. Compared to past decades, the focus has shifted from money play to backgammon as a mind game. Winning is fun, of course, but not important. Tournaments are organized in such a way that you can continue to play even if you lose. What matters is the enjoyment in the game and in each other’s company. 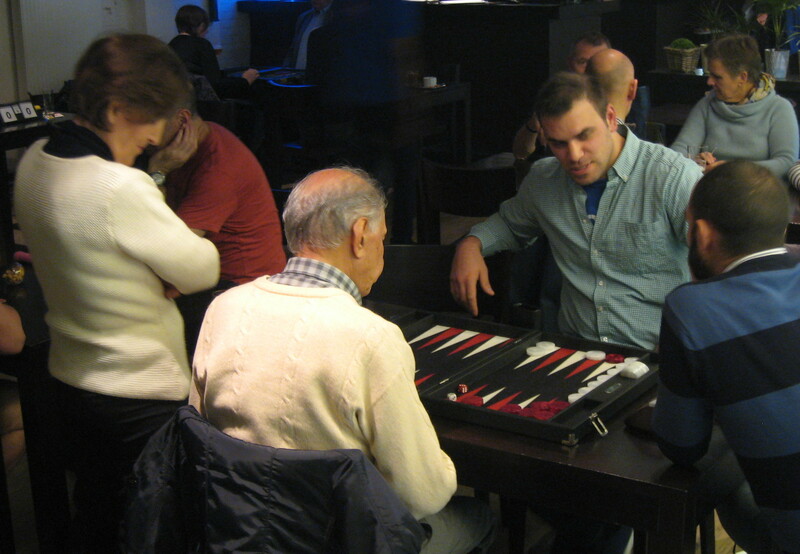 The live backgammon community in Belgium is small but active. Most backgammon clubs organizing weekly or monthly club evenings. New players are most welcome to these club evenings. In addition, there are a number of yearly open tournaments. The clubs compete in a yearly interclub competition called the 4 Cubes. Individual players participate in the Belgium Individual Championship (BIC). Furthermore, players are ranked in a rating list and can compare their performances via PR-based grading tables. Backgammon is a game of luck and skill. To win in the long run, you need to play well. In the short run, however, it’s the dice who dictate the outcome. To make progress, it is useful to analyze your matches by a computer program. In that way, you can learn from your mistakes. The computer will also tell you how well you play, irrespective of the result. Players who submit transcripts of their matches for computer analysis to the Backgammon Master Series Belgium BMS(BE) are ranked according to playing accuracy as well. The grades assigned are those of the international Backgammon Masters Awarding Body. Curious? Why don’t you come and have a look! Or why not even participate at one of the events organized by the clubs or the federation. You will find the club players to be open and welcoming. Feel free to contact us. Check out the contact page for details.